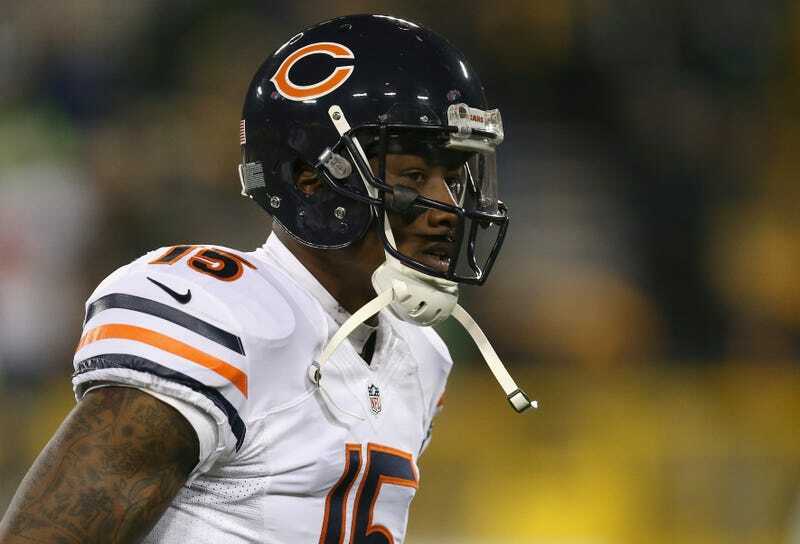 The Bears have agreed to send WR Brandon Marshall to the Jets, per ESPN's Adam Schefter. The haul hasn't been reported yet (Update: a fifth rounder), but it shouldn't be huge: Chicago was desperate to move Marshall before his $7.5 million guarantee kicked in next week. Marshall will turn 31 this month, and his numbers slipped last season—though some of that can be chalked up to Jay Cutler's more general struggles. But even bad Jay Cutler is probably better than what Marshall will find in green. The Jets' passing game will be fascinating. Marshall, Eric Decker, Jeremy Kerley, and whatever they can get in free agency (with a ton of vets available) and from a fairly strong WR class in the draft. All being thrown to by Geno Smith, presumably. If only the Jets could afford to keep Percy Harvin, and then agreed to do Hard Knocks, I think we'd all be thrilled.